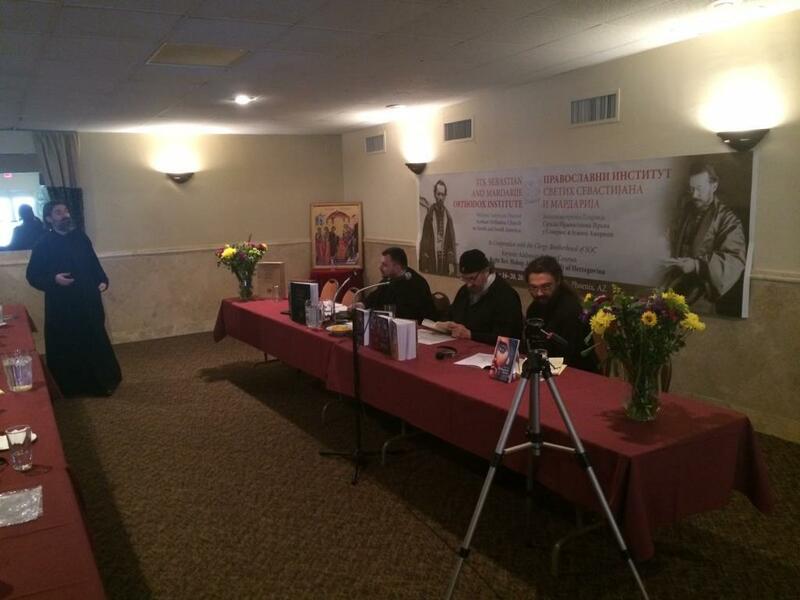 On Thursday morning, the third full day of the institute began with the celebration of the Divine Liturgy. 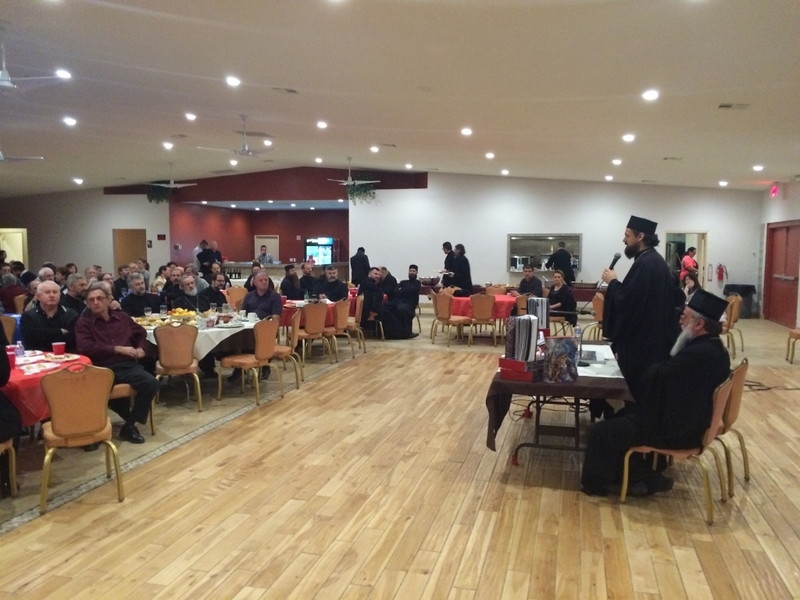 The Liturgy was served by Bishop Atanasije and concelebrated by Bishop Daniel of Santa Rosa, along with the clergy brotherhood. 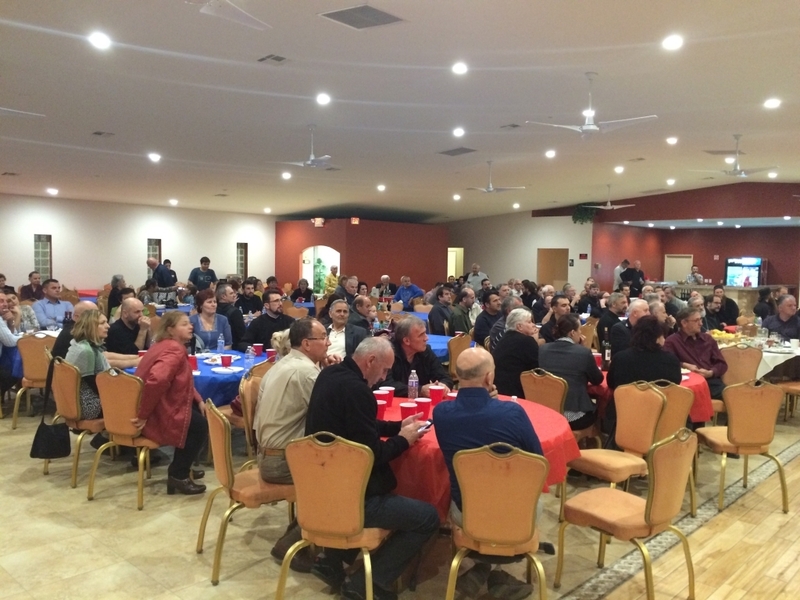 Following the Liturgy, clergy and faithful were treated to an excellent breakfast before beginning the first session. 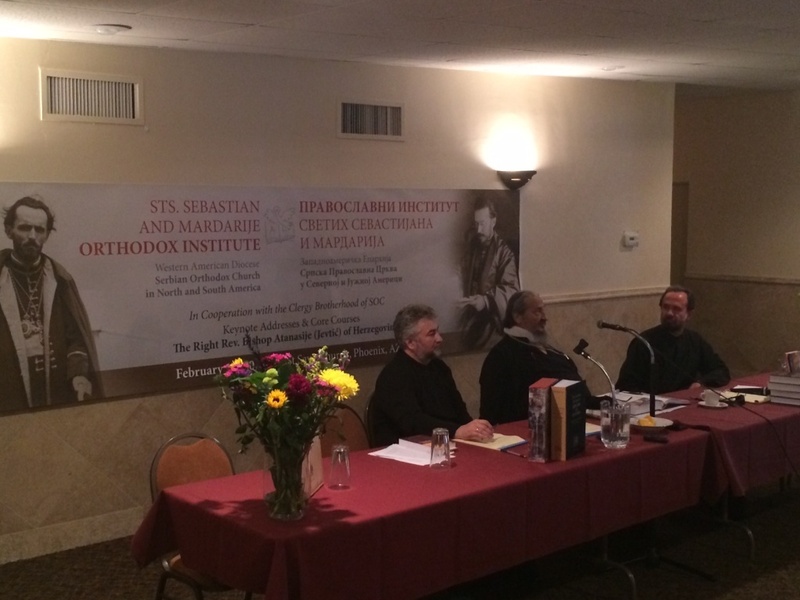 Session VII addressed the topic of Democracy and Human Rights in the Light of the Church as seen from within the Orthodox Faith. 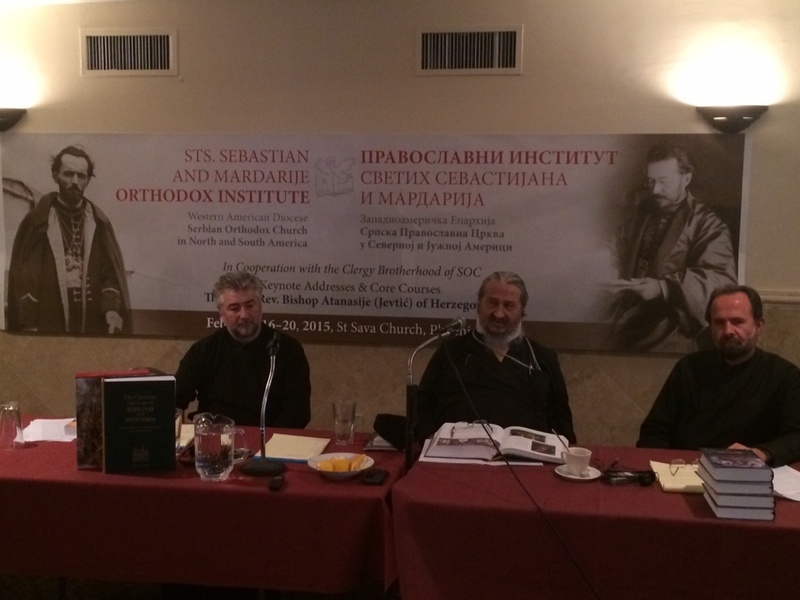 In the talk, Bishop Atanasije outlined what these terms do and do not mean from an Orthodox standpoint, while juxtaposing them with common misconceptions concerning these topics in the West. Session moderators were Fr. Seraphim Baltic, Fr. Aleksander Vlajkovic and Nenad Djordjevic. 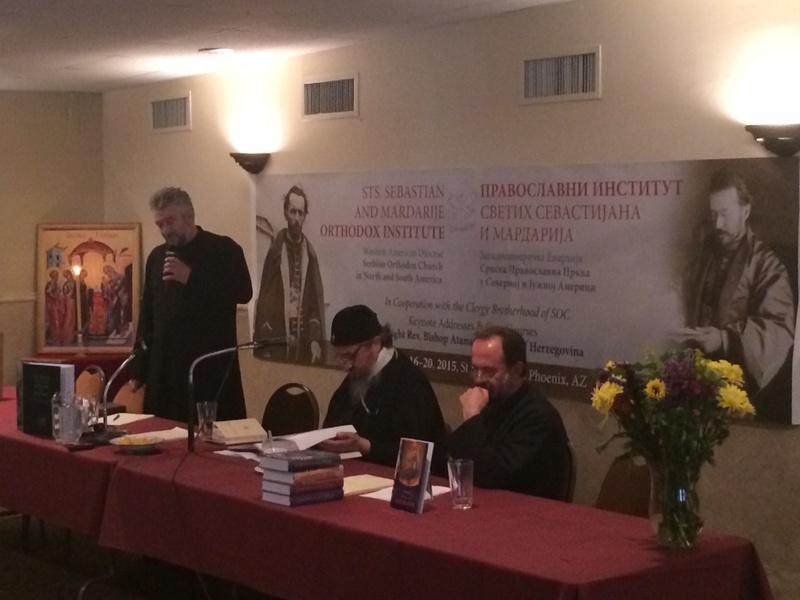 In session VIII, Bishop Atanasije spoke on the concept of Orthodox Ecumenism. 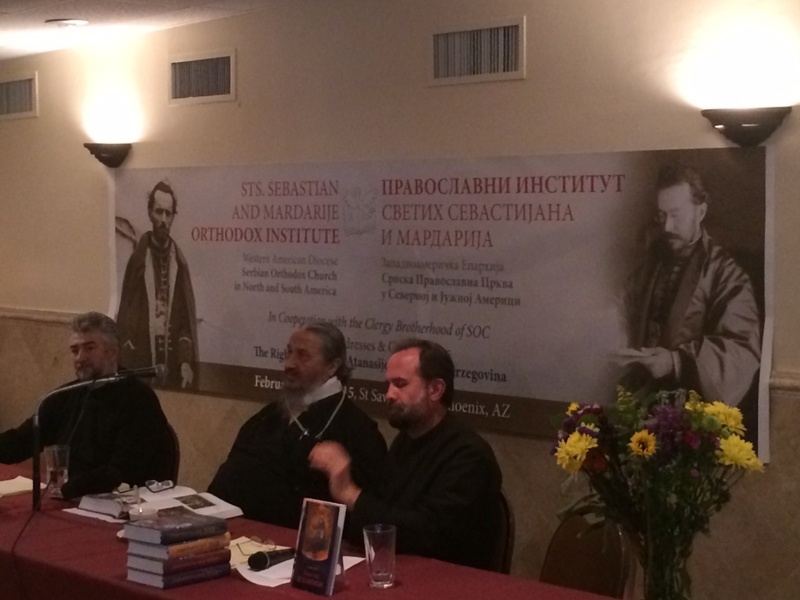 Drawing from his vast experience over the last several decades serving as a bishop in the Serbian Orthodox Church, His Grace stated that we are all called to be ecumenist in the sense of meeting our neighbors and revealing Orthodoxy through genuine love. On the other hand, we must be care in formal theological dialogue, he explained, to not be controlled by pre-existing agendas. We must be a light on a hill without compromising the Faith which we have kept and must continue to keep. 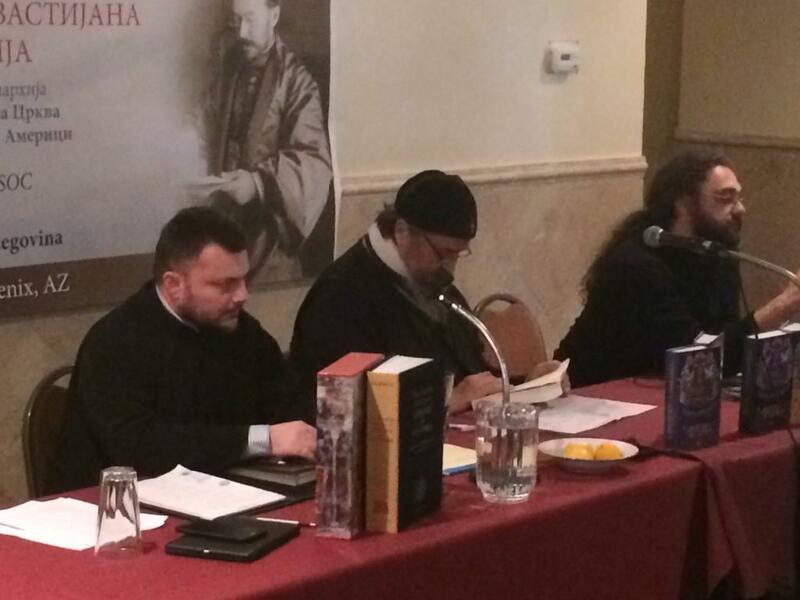 Session VIII was moderated by Fr. 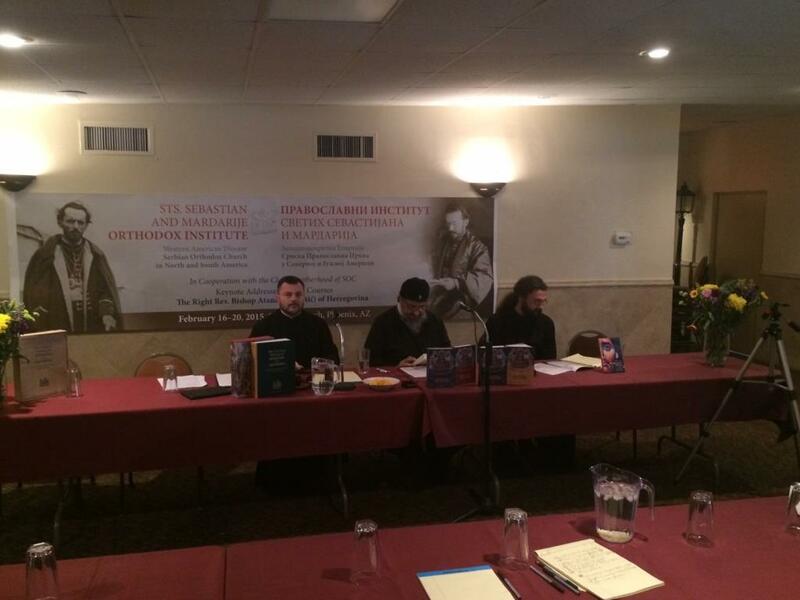 Predrag Bojovic, Fr. Ljubisa Brnjos. 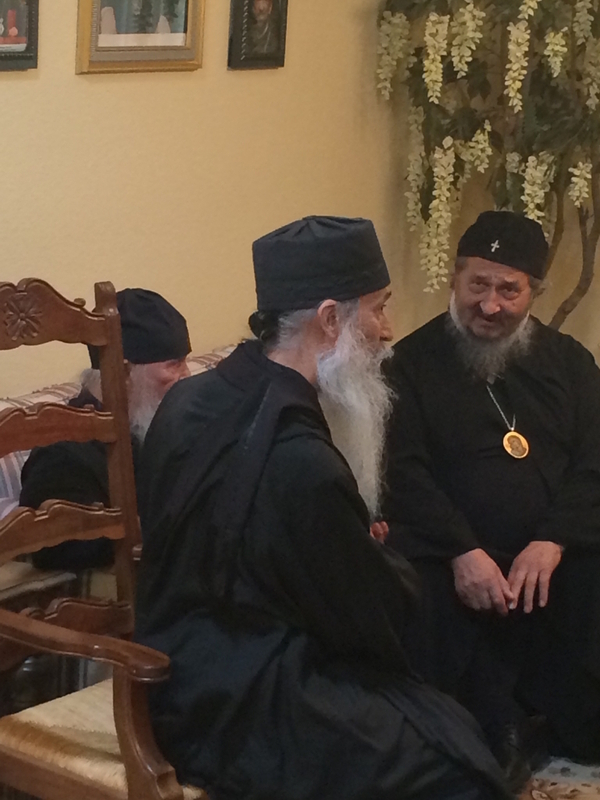 On Friday morning, Bishops and clergy brotherhood, departed for a small day-trip to St. Anthony’s Orthodox Monastery, just outside the Phoenix metro area. 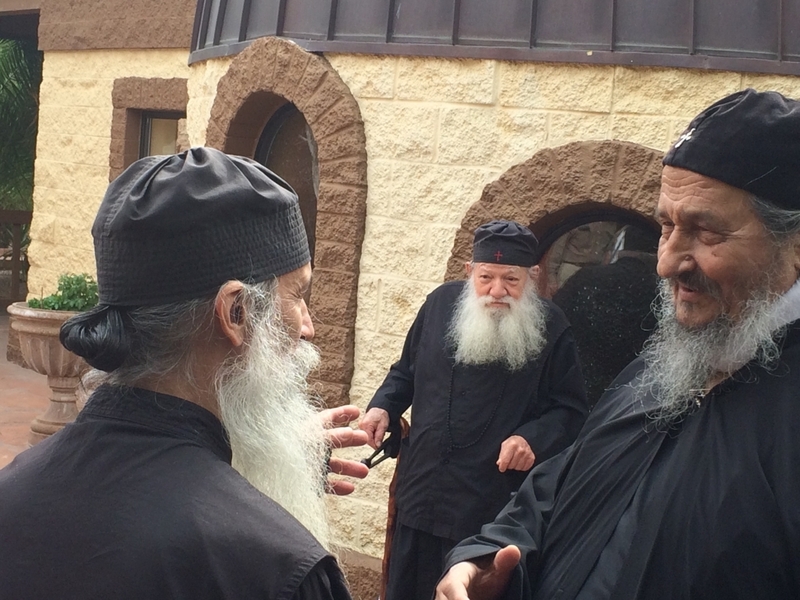 They were met at the entrance to the monastery by Geronda Paisius, abbot of St. Anthony’s, who personally escorted the group on a tour of the Prophet Elias Chapel. Lunch was served in the monastery trapeza, after which the group met and received the blessing of the Monastery’s beloved elder, Geronda Ephraim.